Joan Connolly was shot in what became known as the Ballymurphy Massacre. Now, Dr Laurence Rocke, who worked for decades at the Royal Victoria, Belfast, has reviewed the case. He told UTV Live Tonight that Mrs Connolly may still have been alive after being shot in the face and leg, when soldiers thought she was dead. He believes she could have survived had her wounds been bandaged where she lay, and quickly transported to hospital. Eleven innocent civilians - including a Catholic Priest - died in the British army shootings in August 1971, carried out over a three-day period following the introduction of internment. On 9 August 1971, according to those who knew her, Joan Connolly fearing for her children went outside to find them. The army told a very different story. 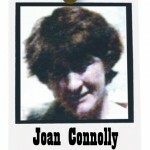 Soldiers who thought Joan Connolly was dead claim she was armed. Not one weapon was found near any of the bodies. The Parachute Regiment is still facing questions 43 years on and now disturbing new information has emerged on Joan Connolly. Dr Rocke has reviewed every aspect of her case. An expert in his field, the top medic has cast serious doubt on what they did, or didn't do, to help her. Joan Connolly bled to death. Dr Rocke believes that as her body lay on the ground, she may have been clinging on to life. "It's a possibility that the way she was left there guaranteed that she would die put it like that," Dr Rocke said. When asked by UTV Live Tonight correspondent Sharon O'Neill if she was let down, he said: "I think she probably was yes." He added: "She wasn't given the best possible chance, anything but I think." Dr Rocke believes that despite being hit in the thigh and the face she may have lived for at least six and a half hours after being shot - and when the soldiers came back to check they wrongly assumed she was dead. The nearest hospital - the Royal - was just two miles away - and a few minutes by ambulance. "It seemed to me from what I read that no coherent attempt had been made to see was she actually still alive or not," he said. "If she was still alive, if she had been treated with field dressings to stem the bleeding and had been transported rapidly to the A and E Department then I think there is at least a chance that she would have survived." Briege Voyle was only 14-years-old when her mother was shot. The impact on her life - and that of her family - has been immense. "It kills you, it rips your heart apart. "To think your mummy, the most important person in your life when you're 14 years of age, why should she have to lie in a field like that? Why? "And be killed like that and left to bleed to death and knowing that lying in that field, she was going to die." "That's no way to treat a human being. You wouldn't do that to an old dog if you seen him lying in the street." She continued: "They robbed us of a loving mother and grandmother who missed out on so much. "We've had loads of tragedies in our families, things that you want your mummy there for to help see you through it which we had to do on our own." "My mummy was out looking for me, it's my responsibility, we lost out on so much because my mummy isn't with us. Why should I sit here and let it be said in papers and books that my mummy was a gun woman when she was a mother, she was a grandmother. "All she lived for was her family and a wee game of bingo." The government may have ruled out an inquiry into Ballymurphy - but that will not stop these relatives from continuing to push for one. For now, a new inquest is the only way of finding out what happened. But families believe these latest revelations are simply too big and too serious to ignore. Knowing that her mother could have survived and may have still been alive today is now driving Briege Voyle's fight. "Give me the truth and I'll move on. Give me the truth, let me be able to tell to my children and my grandchildren: 'Your granny was an innocent woman and there's the page to prove it.' "
A spokesperson for the British army said that it cannot comment on the circumstances, but has supported investigations and will continue to do so.